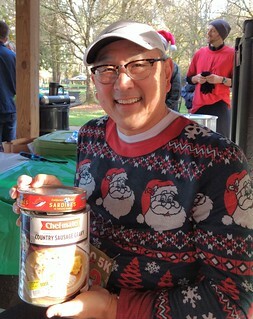 When I arrived at the Ho Ho 5K, I immediately realized I was not dressed appropriately Christmas-like! I had donned my somewhat festive tights, but my running wardrobe is decidedly lacking in red and green. I felt strangely out of place in my salmon-colored top as I was surrounded by Santa suits, ugly Christmas sweaters, Grinch onesies, and a plethora of Christmas pajama pants. It is the first time I’ve ever been at a race where I felt everyone was giving me the “what was she thinking” look. Note to self: Get something Christmas-y to run in – soon! At least I remembered to bring a donation for the coat drive X-Dog Events was putting on! They were also collecting canned goods and pet food and seemed to have gathered a decent collection. 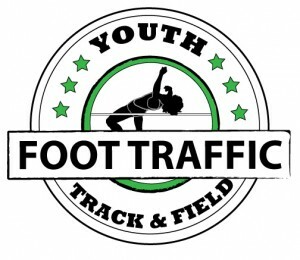 I’ve run races at Cook Park before, but never one that started by running straight uphill out of the park. Wow! That was quite the start to a 5K! Once we made it up the steep hill we meandered (panting) through low-traffic neighborhoods with some ups and downs. Eventually, Santa pointed us onto a paved trail that led to a steep decline back into the park. That downhill was temporary and we were once again climbing. I have to say, I wasn’t expecting that many hills. But, as I’ve learned from running another of X-Dog’s events several times, Kevin is not known for creating easy courses. As we neared the finish line I checked my GPS and saw that we were quite short of a 5K. 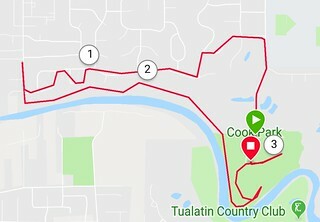 I should have known the course would soon veer off away from the finish and take us out on unpaved trails towards the river. Then we were routed back onto paved roads to head back to the finish. This time we veered off past the finish in a different direction for a short out and back to get the rest of the 5K mileage in before we actually headed back to cross the finish line. It was quite a crazy course. I truly never knew what to expect. 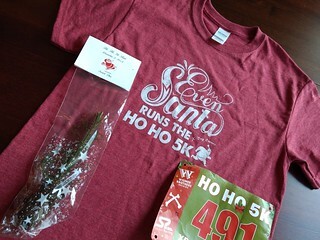 In place of the bling that many races offer, finishers of the Ho Ho 5K received a Scotch Pine seedling. I’m looking forward to planting mine on my property and watching it grow. 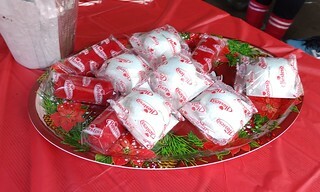 After the race, runners gathered in a covered picnic area where tables had plenty of Ho Ho’s and a variety of other Hostess treats that you may remember from your childhood. Surprisingly, they were being devoured quite quickly! I chose to pass and instead got in line for a cup of hot spiced cider to keep me warm during the awards and prizes. Race winners received engraved dog tags, 6 packs of beer, and a poinsettia. Raffle ticket winners weren’t necessarily “winners” at this raffle. The prizes included lottery tickets, canned sardines, mayonnaise, a hammock, and so much more! I really wasn’t sure if I wanted my ticket to get called during the drawing or not. Kevin didn’t keep us out in the cold for long. The festivities were entertaining, but short. One of the “lucky” raffle winners – sardines and gravy! 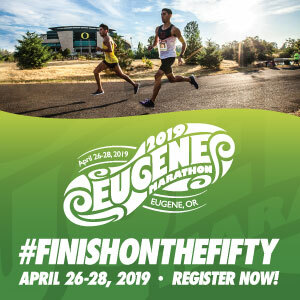 Interesting — I haven’t run this race in a few years, but I recall that the course looked a little different. There was a “false finish” where it looked like we were running to the finish line, only to get a hard 90 degree turn and a short out-and-back. But I’ve always enjoyed this race when I’ve run it.